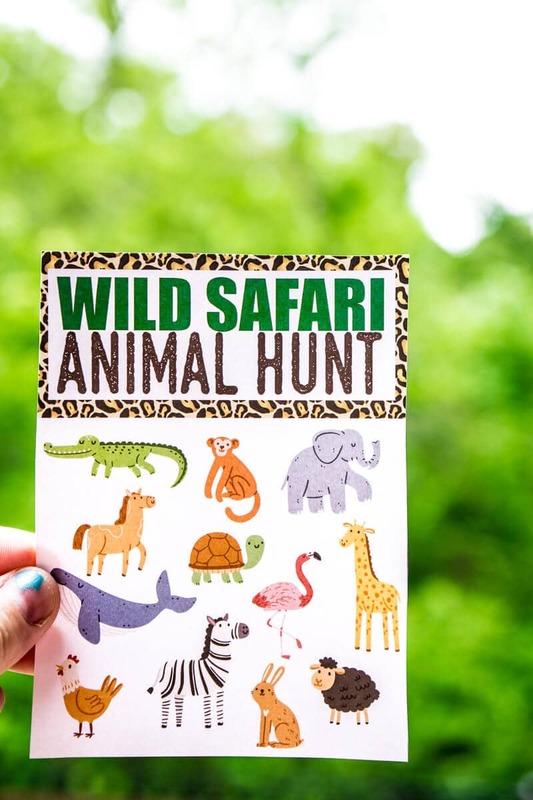 This free printable animal safari scavenger hunt will be the hit of your next animal themed party or play date for kids! 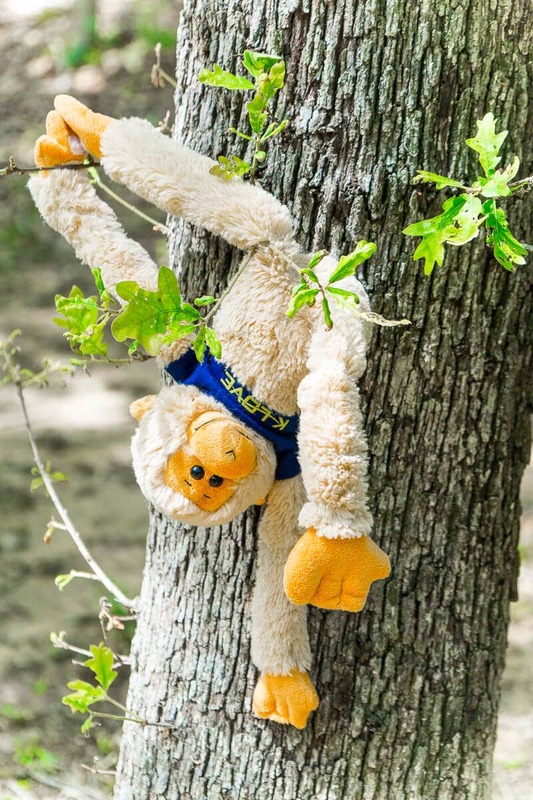 It’s one of the most fun scavenger hunt ideas for kids we’ve ever tried and if your kids love animals, they’re going to love this Kilimanjaro Safaris inspired activity! One of my family’s all-time favorite rides at Walt Disney World is the Kilimanjaro Safaris in Disney’s Animal Kingdom. So for my son’s Walt Disney World themed birthday party a few weeks ago, I had to find a way to incorporate a safari into the party. When I asked my son what he wanted to do for Animal Kingdom, his response was – have animals! He wanted me to either get a petting zoo or rent a couple of animals, like the snakes and mole rats you see on the Gorilla Falls trail in Animal Kingdom. I told him our yard wasn’t quite big enough for a petting zoo, and he persisted and asked if maybe we could just have soft bunny rabbits because they weren’t very big. Eventually he let go of the idea of an actual petting zoo, and we replaced it with doing this wild safari animal hunt instead. I wasn’t honestly sure how it would go, but the kids LOVED it! The animal safari scavenger hunt was so simple. 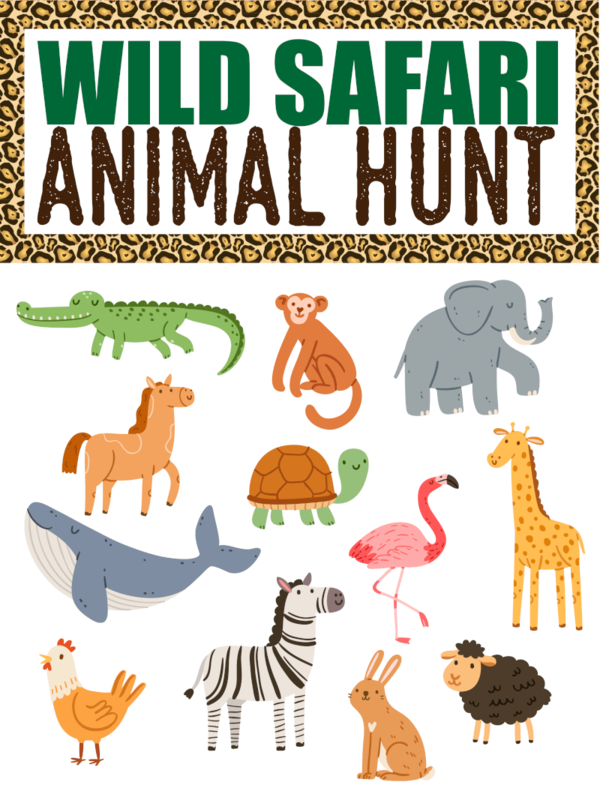 I created a free printable scavenger hunt card with animals for the kids to find on the path behind our house, but this would also work great at a park or even just in your backyard. 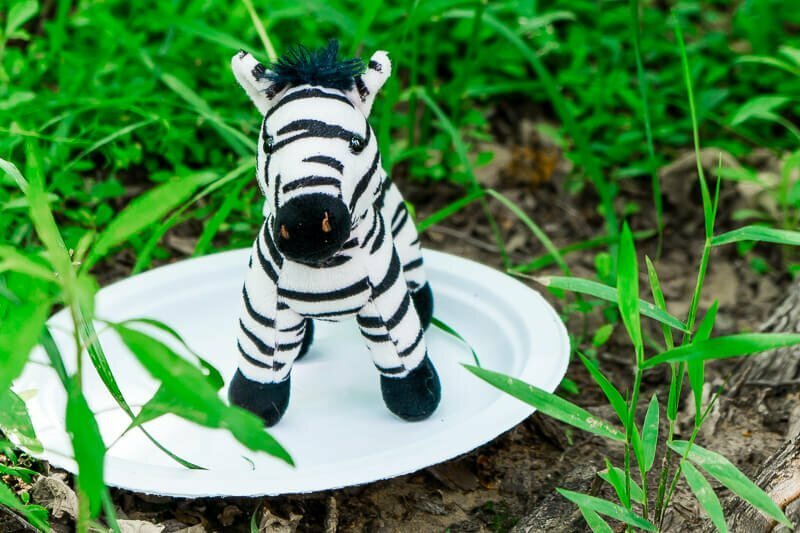 My mother-in-law put all of the animals out along the trail (on paper plates, so they didn’t get super gross) and volunteered herself as our safari guide. The kids loved walking around pointing out the different animals and crossing them off their safari cards. That’s just a quick rundown, here’s the full details if you want to do an animal safari hunt with your kids! Animals for each of the animals on the cards – Amazon has a great selection of mini plush animals. You could also print out pictures of animals instead if you want, but it’s not as fun. Animal stickers – I love the rolls like these ones because kids can’t get them off themselves! Enter your first name and email address in the form below to get the printable. If the form isn’t showing up below, click here to get to the form to download the printable files. Before the hunt, have someone put the animals out on the trail. The order doesn’t matter, although it’s more fun if they aren’t in the exact order they are on the card so the kids don’t know what’s coming next. Give each of the kids a card and either a stamper or a marker to cross off animals as they see them. 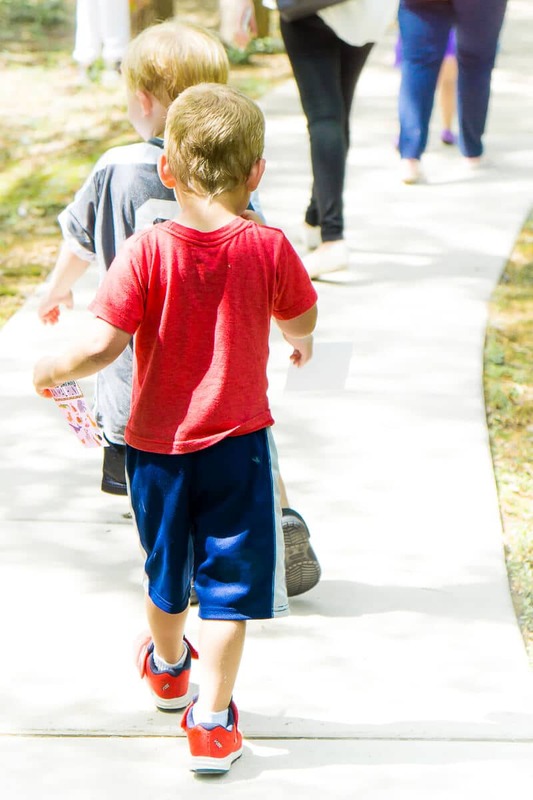 Lead the kids on their “safari,” letting them find animals as you go and pointing out animals they may not see or may not know the name of. At the end of the trail once everyone has seen all the animals, trade the kids their complete cards and markers for an animal sticker of their choice. Use a small trail, preferably a loop if possible, so no one falls too far behind. 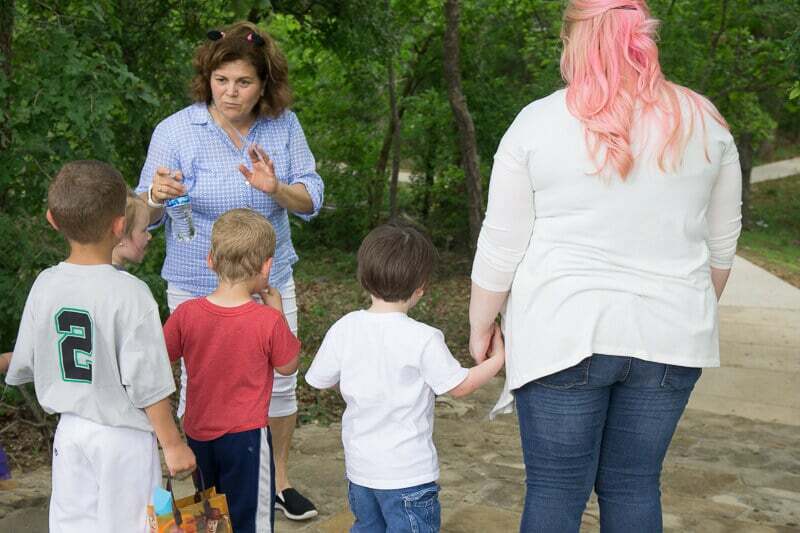 Make sure you have one adult at the beginning and one adult at the end of the group; the person at the end can collect the animals in a large trash bag as you pass by. Our hunt took about 10-15 minutes including explaining everything and handing out stickers. It’s a great filler activity if you need to set something up at your house or just want to have the kids do some sort of structured activity. We did it while my husband was setting up our Jedi Training Academy activity. Have you ever been on the Kilimanjaro Safaris at Disney’s Animal Kingdom? Or ever done an animal scavenger hunt before? Which animals are your favorite to see? There’s a box that says “get the printable file.” Enter your first name and email there and you’ll be taken right to it.